Joyetech has streamlined the original Atopack Penguin starter kit and this new iteration is now aptly named the “Dolphin”. The Atopack Penguin was Joyetech’s original refillable pod mod system. Its plug and play simplicity and cute form factor made it a success in the market. Joyetech has attempted to improve on this flagship model, adding the revised Atopack Dolphin to its growing pod family this month. Here is a brief summary of the main differences and similarities between the two. 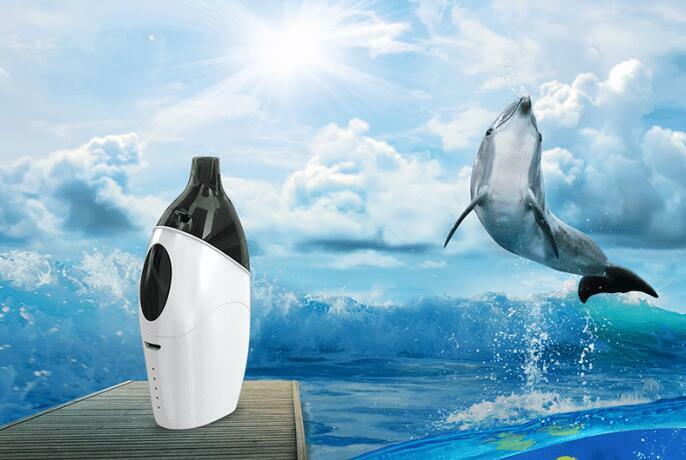 Named for its sleek profile and graceful curves, the Dolphin is a refined version of the Penguin. Boasting a powerful 2100 mAh capacity, the internal battery itself is only marginally more powerful than its predecessor. Even the new mod’s overall dimensions and weight are virtually identical to the original. Where the models differ more considerably is the overall look and feel. The main body of the Dolphin now curves and tapers to the mouthpiece at the top (on both sides) and a prominent firing button and LED battery indicators provide notable accents to the front face. 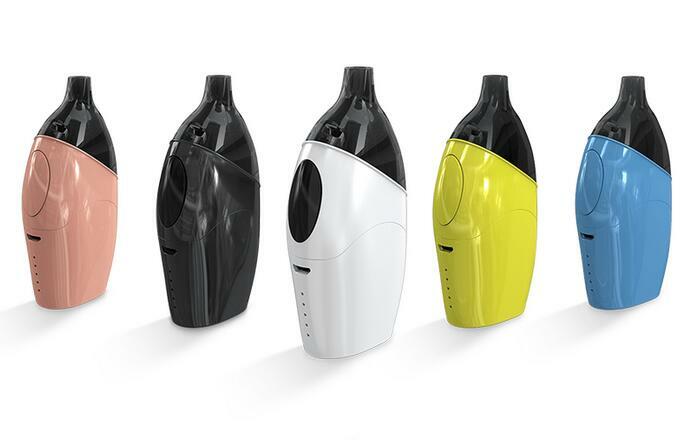 The installed e-juice pod has also changed shape slightly, with the reservoir provided in a 2 mL or 6 mL capacity, and a childproof version also available. The pod itself is constructed out of an eco-friendly PETG and silicon combination and includes an elliptic injection hole on the side of the cartridge for easy refilling. 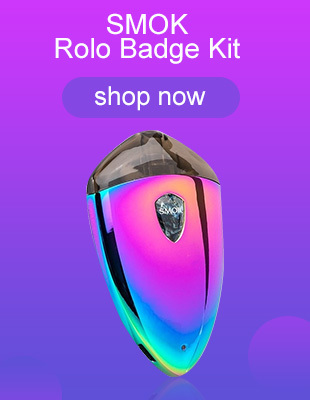 One of the most user-friendly refillable pod mod systems on the market! Joyetech has also designed a new stopper and mouthpiece sleeve that can be applied to the pod in order to reduce the airflow. This is a particularly ingenious add-on that makes this setup better suited to MTL vapers. The proprietary coil family has remained unchanged. The pods are equipped with the JVIC (Juice Vertical Injection Coil) system, which employ a ceramic base. These coils are specially designed for use with the Atopack pods and are capable of producing excellent vapor and flavor outputs. Coils are rated to 0.6 ohms and 0.25 ohms respectively. Joyetech has also introduced a new, 1.2-ohm coil head, catering more directly to MTL users. Although certainly smarter looking (subjective) and marginally upgraded (if you count the “larger” battery and “larger” firing button), there doesn’t seem to be too much to set this model apart from its predecessor. So, while I wouldn’t advise trading in the Penguin for the Dolphin at this stage, it does give new users another choice to consider within this category.